Tune in to Live Constructions at 10:00 PM on Sunday, July 10 to hear a live set performed by two multi-instrumentalists: Rick Parker on trombone, effects and synthesizer, and Li Daiguo on cello, pipa and throat singing. 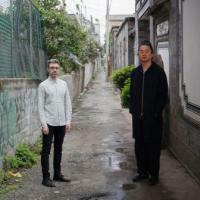 The one-hour program will feature 50 minutes of Parker and Daiguo's avant-garde psychoacoustic music followed by a quick interview in which the duo will talk about their collaboration and their new album, "Free World Music." Rick Parker, a New York City resident, is known for combining jazz, experimental and electronic sounds using trombone, synthesizer and effects. He has collaborated with Tim Berne, Mingus Big Band, Darcy James Argue Secret Society, Charli persip, Frank Lacy, Tim Kuhl, Cage the Elephant, Wu Tang Clan, Xemina Sariñana and many more. He also leads his jazz quintet, The Rick Parker Collective, which has released two albums on Fresh Sound New Talent and WJF records. Parker is a part of Little Worlds, a three piece ensemble from Brooklyn dedicated to the reinterpretation of the music of Bela Bartok. Parker is also a member of 9 Volt, a brash experimental jazz/rock trio, with Israeli guitarist Eyal Maoz. Li Daiguo is one of the leading figures in China's experimental and new music communities. He is known for his pipa and cello playing, as well as his throat singing and beatboxing. As a composer, he has been commissioned by Guanzhou Modern Dance company, Guangzhou Ballet company, Nobu Khan Malaysian Butoh Dance festival and video artists Fang Lu, Tao Tui, Serge Onnen. He has released albums of original compositions on record labels in China, Japan and Israel. His musical collaborations as a performer include Sainkho Namtchylak, Peter Scherr, FM3, Eyal Maoz, Kink Gong, Satoko Fujii, Sato Yuki and many more.